Enfolded by the Marmara Sea, Yalova is a calm and soothing city opulent in thermal springs and lavish nature. 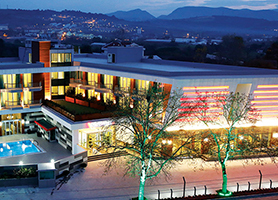 Yalova is one of the central spa centers in Turkey, famous for its thermal tourism. Apart from thermal tourism, which is accessible all year long in every season, this port city also offers the leisure of beach tour and sports-centered nature sightseeing throughout the year. Specifically, the acclaimed Thermal spas have turned out to be the hub of health, therapeutic calm and relaxation in Turkey and also the Middle East. One of Yalova’s most significant aspects is an extensive cultivation of decorative plants. The forestry of Yalova, especially those deep-seated inside the province, is quite suited to hiking, trekking and mountain-biking pursuits. Perfect biking and trekking spots are: the Sudusen Waterfall in Uvezpinar, the Delmece and Erikli Plateaus in Tesvikiye, the track from Yalova Uvezpinar to Gemlik Haydariye and from Gemlik’s Sahin crest to Kurtkoy. Held in the Calidere and Cobankaya highland areas, and in Ciftlikkoy, Deveboynu and the Old Cave region. You can catch Trout at the Sudusen Waterfall situated to the south of the Uvezpinar Village. Fishing turns out to be a sporty yet calm experience for the tourists who have never tried it before. Set up the BBQ grill and enjoy a day with your friends. The rocky spaces about Armutlu are some of the areas that are appropriate for water sports and spear diving. 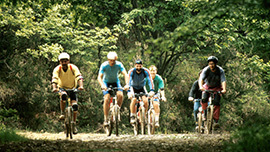 These enthralling sports are enjoyed off Bozburun and Ayıburnu. 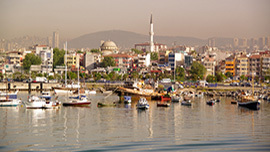 The Esenkoy, Armutlu shore and the Cinarcik Deveboynu and Senkoy district’s coastal bands possess abundance of fish species such as sea beam, sea bass etc. that are best for spear fishing. The rocky coastal strips are one of the most suitable areas for spear fishing in Turkey. A garden that features thousands of trees and flowers is an amazing place to get amused by the nature’s most charming creations. You may buy any trees or flower varieties cultivated by the staff. At Karaca Arboretum you will come across the house where the creator of the place Mr. Hayrettin Karaca resides. We highly recommend you to stopover at this magnificent green abode and appreciate the beautiful handiwork of God. 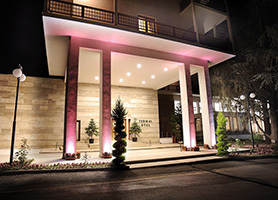 Termal is a district of Yalova and world-famous for its hot springs. At a distance of just 12 km from Yalova, the thermal center is a huge complex having 5 baths that hold historical value dating back to the Roman and Byzantine periods. In an authentic sense, the complex proposes an outstanding chance to get liberated of the day-to-day hassle in the restorative waters of the thermal springs. Armatlu Thermal Resort is one of the prominent thermal facilities, sited in a valley enveloped by forests. The spa waters emanate healing gases. The Armutlu spas are ranked as high radioactivity spas. They are valuable for heart health and overall cleansing of the body. Termal is an awe-inspiring natural wonder where you entertain yourself with sport activities necessary for a healthy living. A sports-hall features basketball, table tennis and volleyball courts and a jogging trail is also accessible. You will enjoy these activities alongside Gokcedere dam-lake whilst adoring its absorbing scenery and your jogs traversing through these natural splendors to the Sudusen Waterfall would add up as an unforgettable experience. 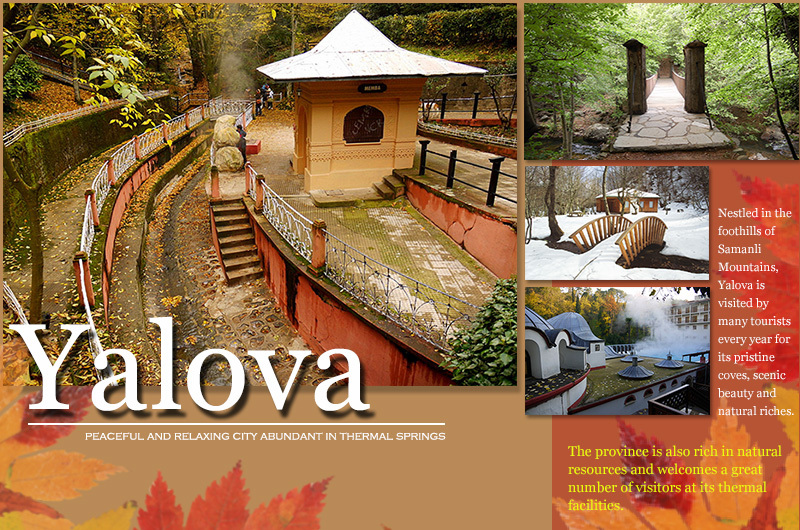 Yalova, with its astounding nature and thermal amenities greets all tourists seeking requiescence within accessible and comfortable range. Yalova’s history traces back to the Prehistoric eras and discoveries have been made that belong to 3000 B.C. The Kimmer took over the place during 700 B.C. and there are indications of the Bithynian authority in the years later. Bithynia was appended to Rome in 74 B.C. as an endowment. There are also impacts of the Byzantine sovereignty in the area that shortly got merged with the Ottoman period. Yalova got converted a province in 1995 and before this time it was just a district of Istanbul. Mustafa Kemal Atatürk sometimes used to live in Yalova during his last years. He notably said in one of his speeches: "Yalova is my city." 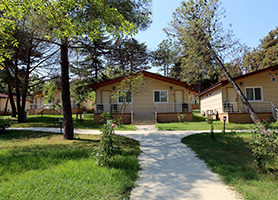 Yalova is nestled in the arms of nature and besides its pristine nature that is the pivotal attraction for the tourists this city has a few historical references as well which the history-lovers enjoy to explore. The Kosk has an Ottoman-Turkish design and Ataturk, the forefather of the present Turkey, used this mansion during his stay in the city. Stunning, peculiar, intriguing, desolate, baffling, serene, all of these and many more synonymous words truly describe Yuruyen Kosk. This mansion has a fable associated to it. 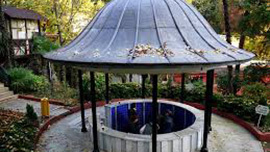 It is frequently signified as the 'walking house' because, as the tale goes, Ataturk thought the mansion was very near to a beautiful sycamore tree, so he asked the house to walk. The mansion did exactly as ordered and displaced 3 km down the waterside, towards its existing reposing place. 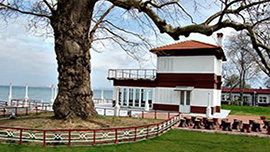 For an intuition of the mind of a sincerely noble man, Mustafa Kemal Ataturk, the story of the sycamore tree and how this house actually did walk, and the modern items inside, all mark this as a must-see place if you visit Yalova or the neighboring region. 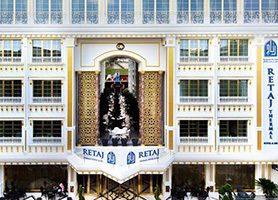 In early 19th century the Thermal was constructed in 38 days only. It is a two-storey wooden structure having three reception lounges and eleven other rooms. The pavilion is still conserved with its authentic furniture and it serves as a museum to the visitors. The pavilion features artwork of a Russian artist Ayvazovsky, Hereke and Iranian carpets, French lacquered chairs, a brass bedroom, a German piano and deerskin radio. Except Thursdays it stays open to showcase the legendary artifacts.